Freedom for All Americans is the bipartisan campaign to secure full nondiscrimination protections for LGBTQ people nationwide. Our work brings together Republicans and Democrats, businesses large and small, people of faith, and allies from all walks of life to make the case for comprehensive non-discrimination protections that ensure everyone is treated fairly and equally. With the ultimate goal of securing federal statutory protections for LGBTQ Americans, Freedom for All Americans works at the federal, state, and local level to advance measures and laws protecting from discrimination on the basis of sexual orientation and gender identity and expression – without allowing overly broad and harmful religious exemptions that will encourage employers, business owners or others to choose to disregard those protections. Opponents of non-discrimination laws are currently pursuing strategies to chip away at protections for the LGBTQ community and undermine the movement’s gains. We will push against these attempts to codify discrimination. However, it is not enough to merely take a defensive posture – we must take the fight on the offensive, with a multi-year initiative that seizes on our best opportunities to advance local and state-level victories. 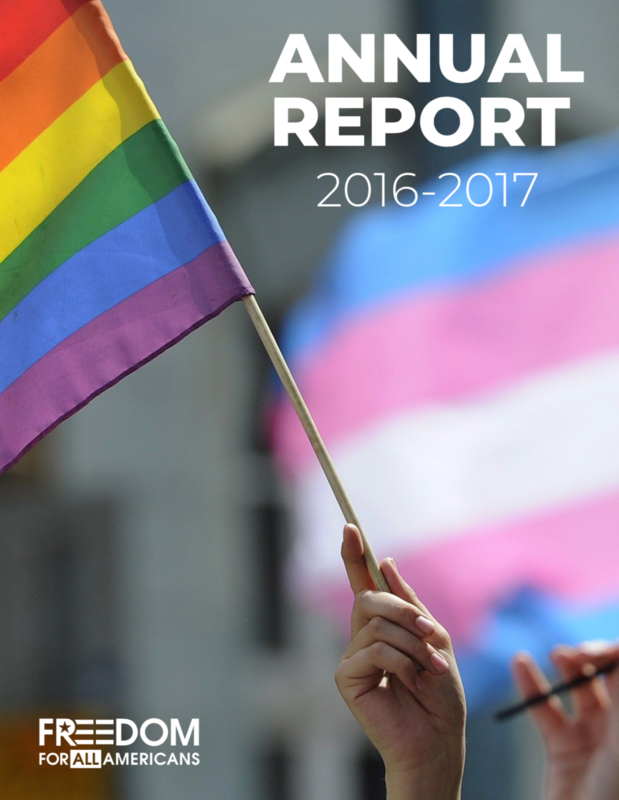 Throughout all of this work, we must also pursue a broad, ambitious initiative to educate Americans about who LGBTQ people are and why non-discrimination protections are so critical. By building momentum across the country with state-level victories and comprehensive public education campaigns, we will create pressure nationally for the United States Congress to pass full federal protections for all LGBTQ people. Learn more about how we’ll win here. This is the website of Freedom for All Americans and Freedom for All Americans Education Fund. 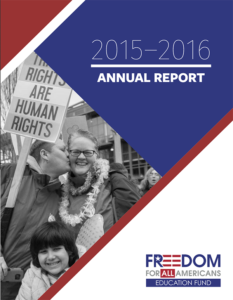 Click here to learn more about the two components of Freedom for All Americans.